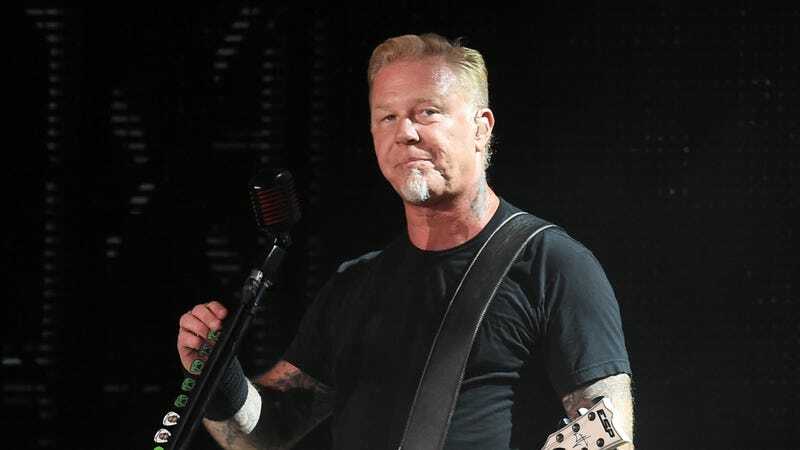 The lead singer/co-founder of Metallica, James Hetfield, has been cast as a highway patrol officer in the new Ted Bundy movie, Extremely Wicked, Shockingly Evil and Vile starring Zac Efron—a sentence I never thought I’d write, but here we are. Hetfield’s character is a “no-nonsense” guy who “was the first law enforcement officer to arrest Bundy in 1975 after pulling the killer over and discovering burglary tools in his car but wisely suspecting much worse.” Dun dun dun! Hetfield really is a natural fit for this role, considering his history of support for law enforcement—just last year he delivered holiday gifts to police and fire departments through Metallica’s All Within My Hands charity. There’s something to be said about the organization, dedicated to “creating sustainable communities by supporting workforce education, the fight against hunger and other critical local services,” focusing their attention towards law enforcement in a year when police brutality has been at the forefront of political conversation, but we’ll let the gestures speaks for themselves. Congrats to Zac Efron on his new co-star!